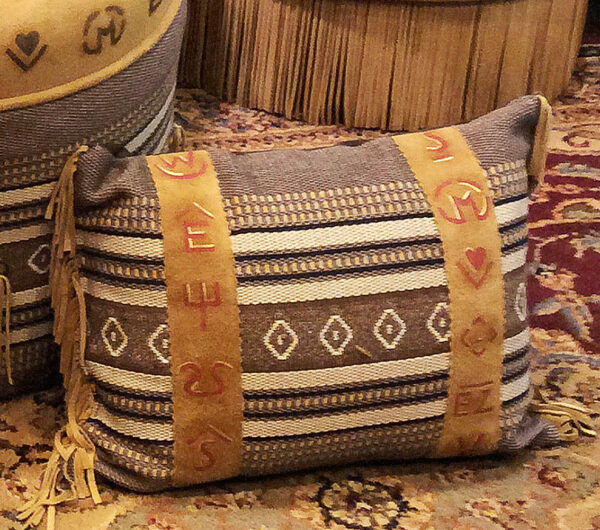 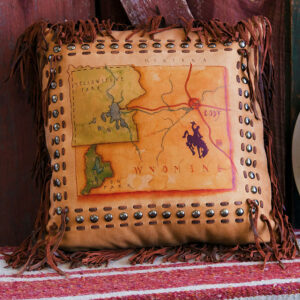 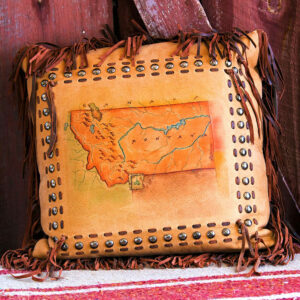 Los Christos & Brands Accent Pillow made with Butterscotch deer suede and hand painted with symbolic brands of the old west. 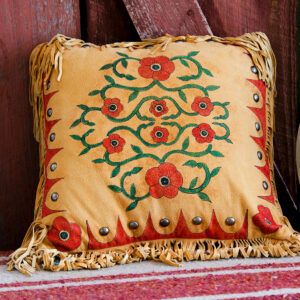 The pillow also has 3 inch fringe on each end. 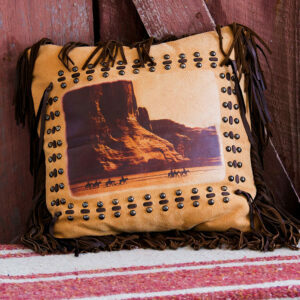 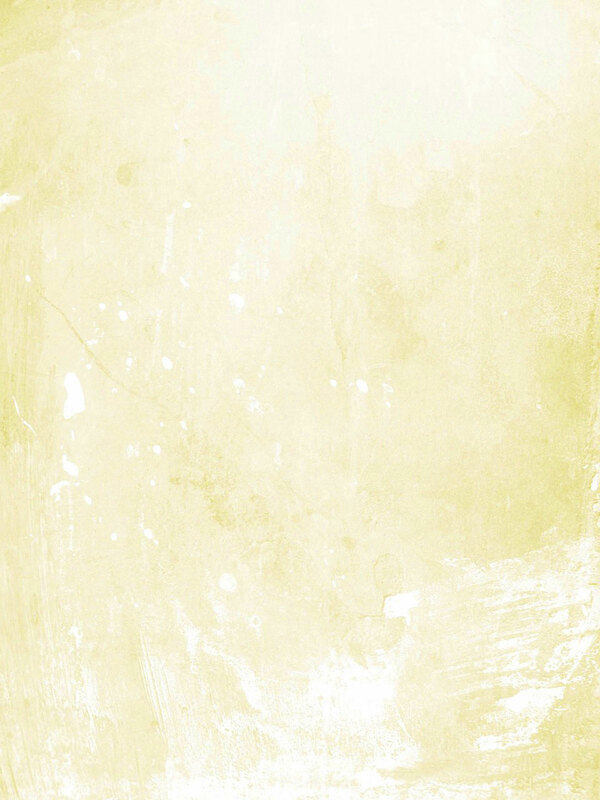 Measures 12″ x 16″.